It’s been another great year with appearances at most of the rural shows in the area, Ripon Races, the Pateley Bridge 1940s weekend and concerts in St Cuthbert’s, Kirkstall Abbey (Leeds), Grantley Village Hall and Pateley Bridge Memorial Hall. We also briefly featured on the BBC during the Tour De Yorkshire when we entertained the crowds at the bottom of Pateley Bridge High Street. Here's another view of the peleton whizzing by as we played "New Round Tower" yesterday. Fantastic to see so many people in Pateley Bridge for the Tour de Yorkshire, what a great atmosphere! 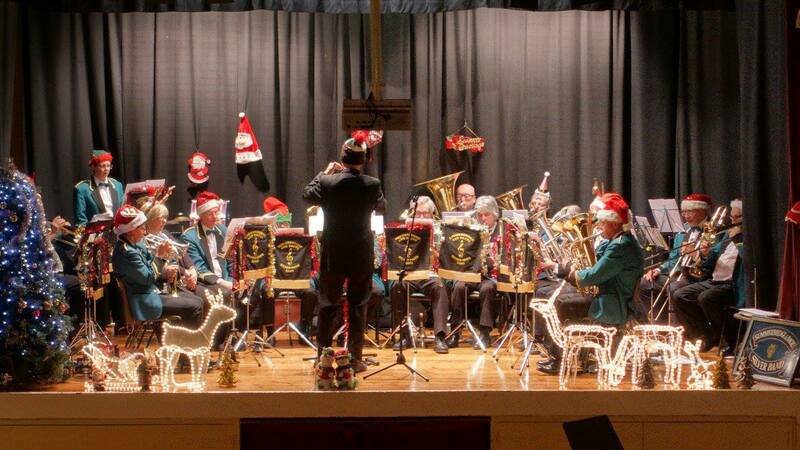 Another great year finishing with a fantastic Christmas Concert in the Pateley Bridge Memorial Hall. Having started with 6 players in 2013 we now have almost a complete band. We are just looking for a Bb bass player and percussionists to complete the line up. 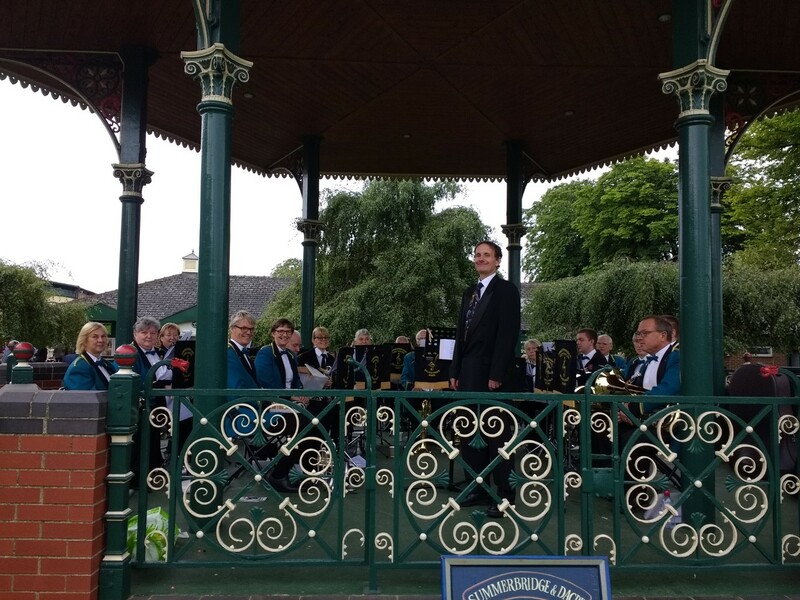 The annual summer concert was well attended and with a theme of “A Night at the Movies”, it was an opportunity to show off our beginner group, our soloists and put on a programme of film music. 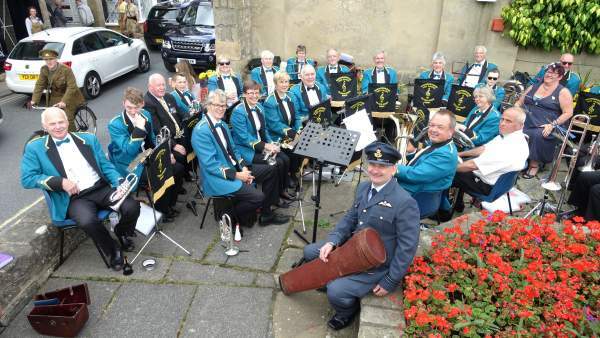 The band also played at the annual 1940’s event in Pateley Bridge. 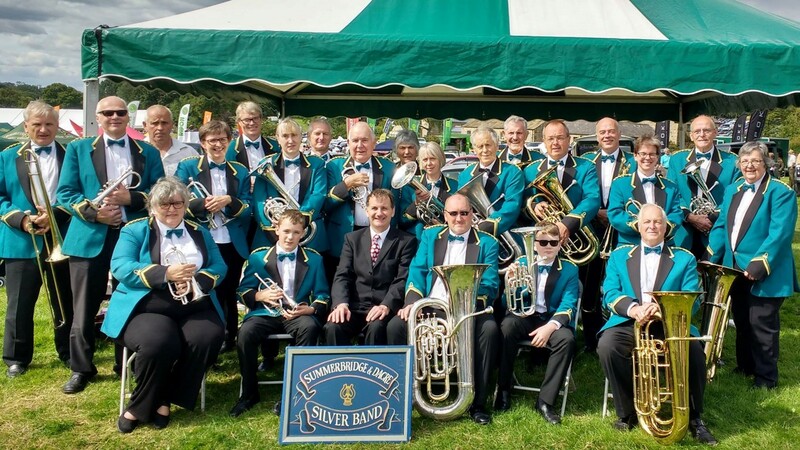 A 2015 was a very successful year with the band gaining a number of new players in key positions. The Junior Band has been a big success with some youngsters and other youths moving into the main band. Thankyou to everyone who came to our concerts, booked the bands for weddings and other events. 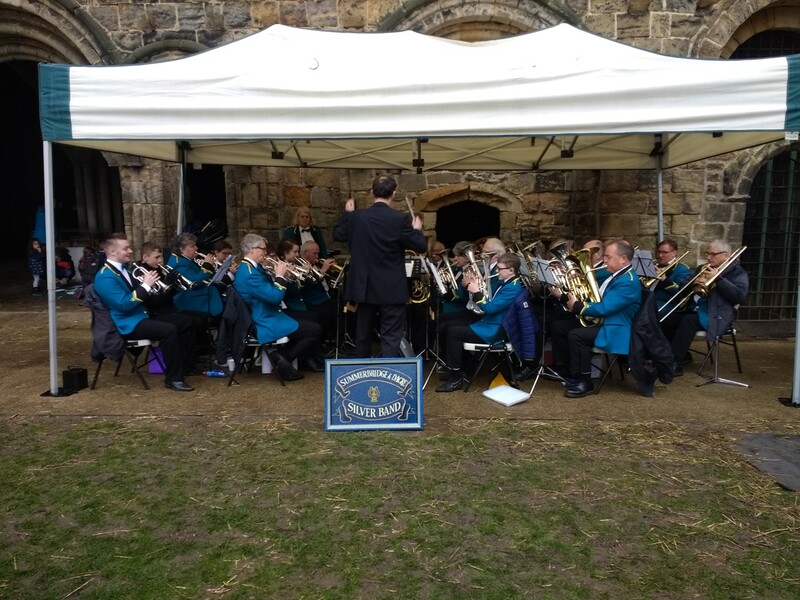 A big thank you to Harrogate Council for providing the band with a grant to pay for music, percussion instruments and repairing instruments for our beginners to use. Thank you also for all the kind comments that the band has received throughout the year on FaceBook, email and at concerts. We are very proud of our beginners group who played in their first concert with the main band as part of Darley Remembrance service. Anyone else, children and adults, wanting to join the group are very welcome. free group lessons are provided and instruments. 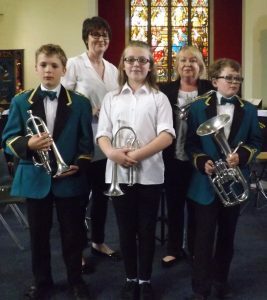 A beginners group has been formed to encourage children and adults in the dale to take up a brass instrument and learn to play in the band. So far there is a small group of 5 players, but we are hoping this will grow. Lessons are free and the hope is that after a year they will be able to move into the main band. Its been a busy year. 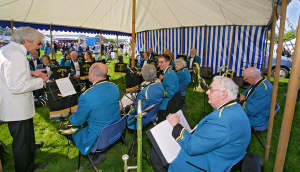 The band has grown over the last 12 months as several new players have joined us. Other players have moved around a little to fill out the remaining missing parts. As a result we have recently had Six successful engagements in parks, churches, shows and private events, with more planned over Christmas. 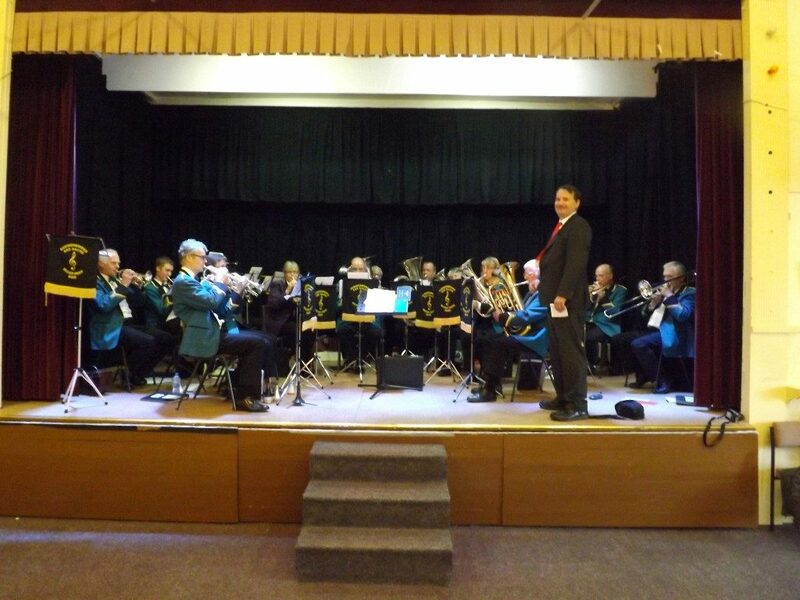 The band can formally announce the arrival of a new Musical Director, Mr Charles Hindmarsh. As a result the band has now begun regular rehearsals on Thursday nights at the Darley Methodist Church from 7:30 until 9:30pm. 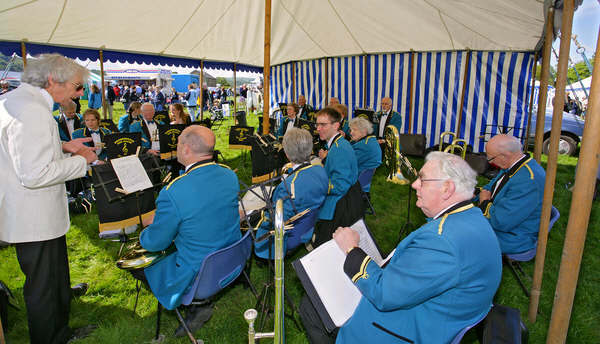 The band is preparing a programme of music for future concerts and would welcome back past players and new players to build up the band. For further information please contact the Musical Director on 07979 686675. It was with great sadness that Mr. Arthur Leslie Layfield, the Musical Director of the band, died at the age of 74. He was a much loved and highly respected conductor. Born in Darley, Arthur joined Darley’s Junior Band at the age of nine. 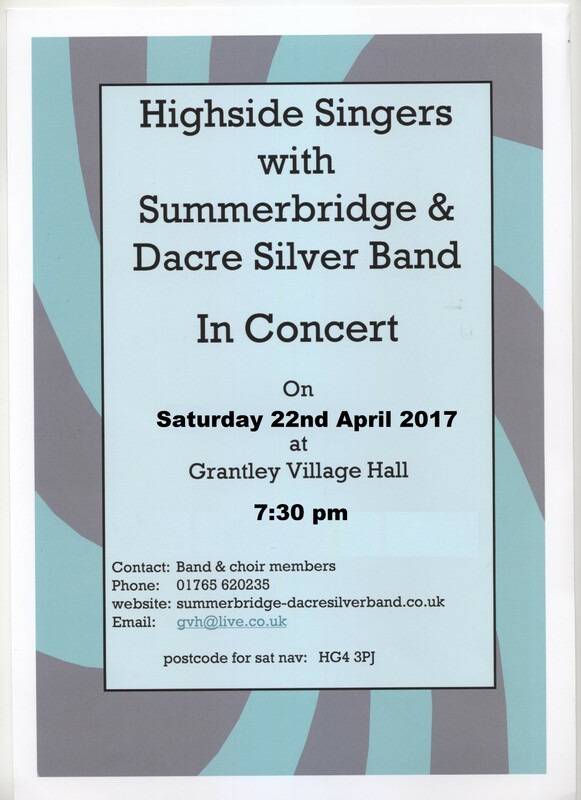 When this band folded in 1959, he joined the Summerbridge and Dacre Silver Prize Band, remaining with it for the rest of his life. He became musical director in 1989.